CHA’s patented series of fixturing components ensures excellent coverage over the step, with uniformities of ±5% or better for higher yield and throughput. Adjustable Angle Planetary Fixturing (AAPF) is specifically designed for applications that require extreme uniformity of deposition. The AAPF design allows the operator to tailor the angle which will maximize uniformity in step coverage or lift-off processes. The capability of selecting the best angle of incidence ensures precise control and uniformity on all types of substrates. 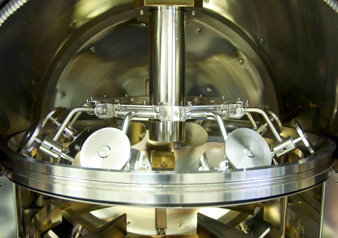 CHA's patented series of rotary, 3-dome planetary fixturing accommodate virtually any shape or size of wafer to provide higher yields and increase throughput. By applying Knudsen's cosine distribution law, CHA's fixturing continuously changes each wafer's aspect to the evaporant stream. This ensures excellent coverage across the wafer. 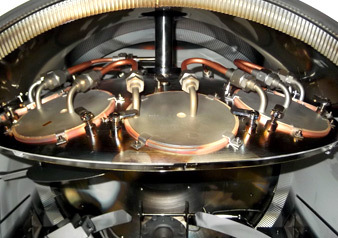 CHA's Flat Plate Planetary fixturing may be mounted in either a horizontal or vertical orientation and used for evaporation or sputtering applications. 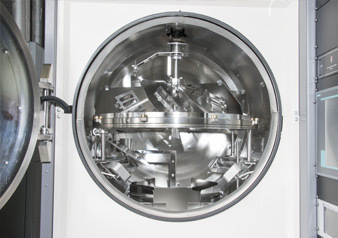 It can increase the versatility of thin film deposition systems that require the coating of unusual shapes and sizes of substrates. The all stainless-steel design provides epicyclical motion to optimize film uniformity and coverage. 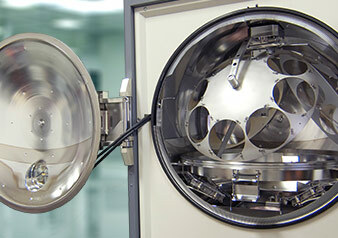 CHA's Carousel lift-off dome models are designed for handling small substrates and for small volume batches. 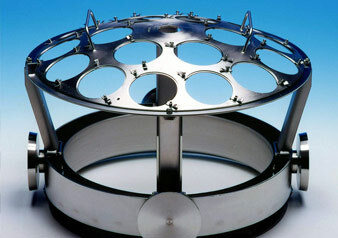 CHA's Suspended lift-off dome models are designed for handling large substrates and for large volume batches. 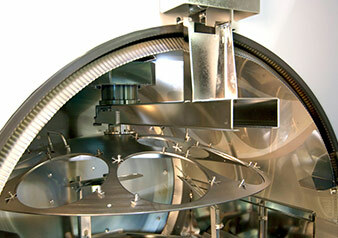 CHA's Water Cooled Rotating Fixture can be configured to retain wafers ranging from 75-200mm front loaded wafers. 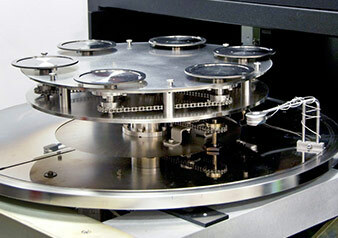 Shown with 150mm diameter wafers. Flip Fixturing from CHA is designed for applications that require coating of more than a single side or surface of substrates without having to break vacuum when changing sides or presentation. 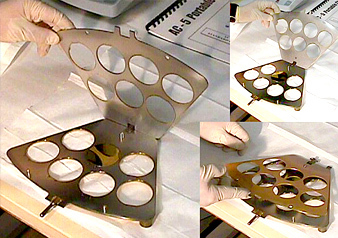 Flip Fixturing comes in several different models and sizes to accommodate various presentation requirements.